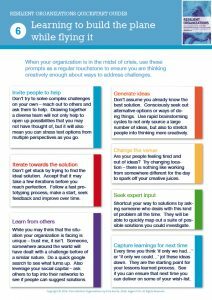 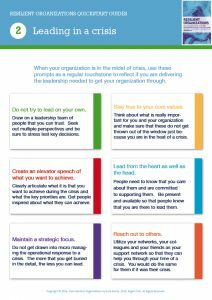 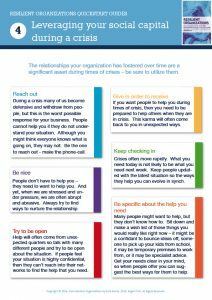 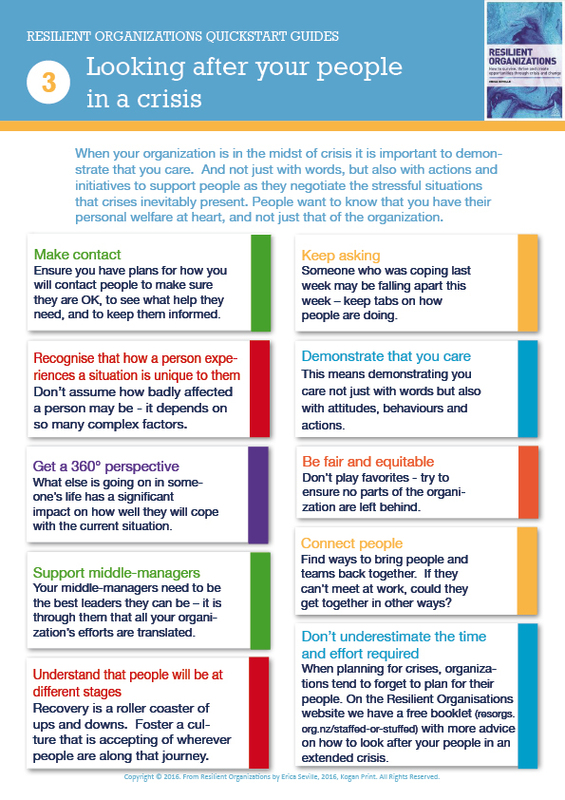 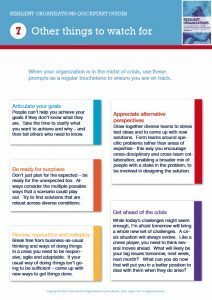 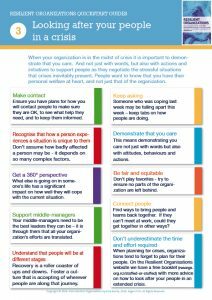 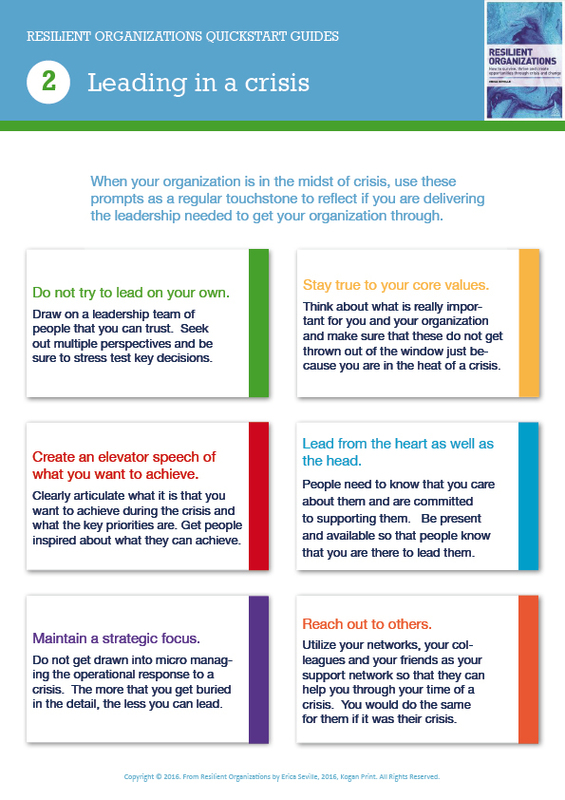 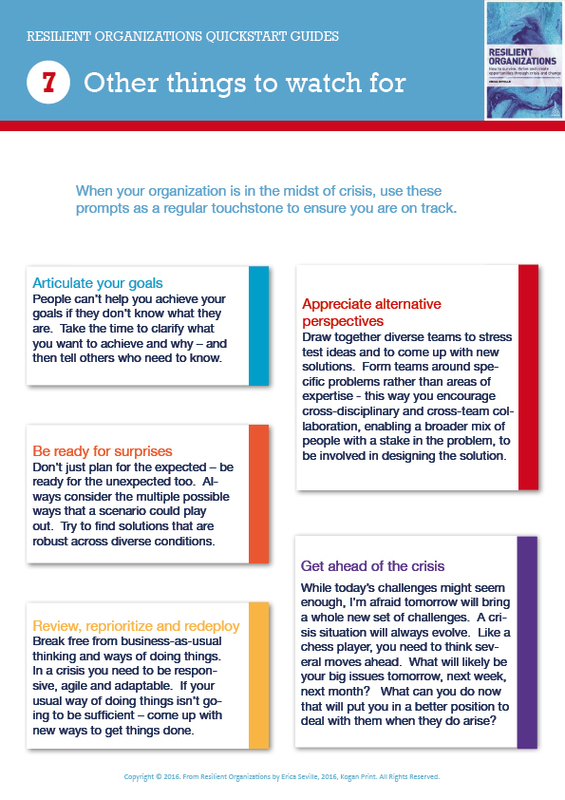 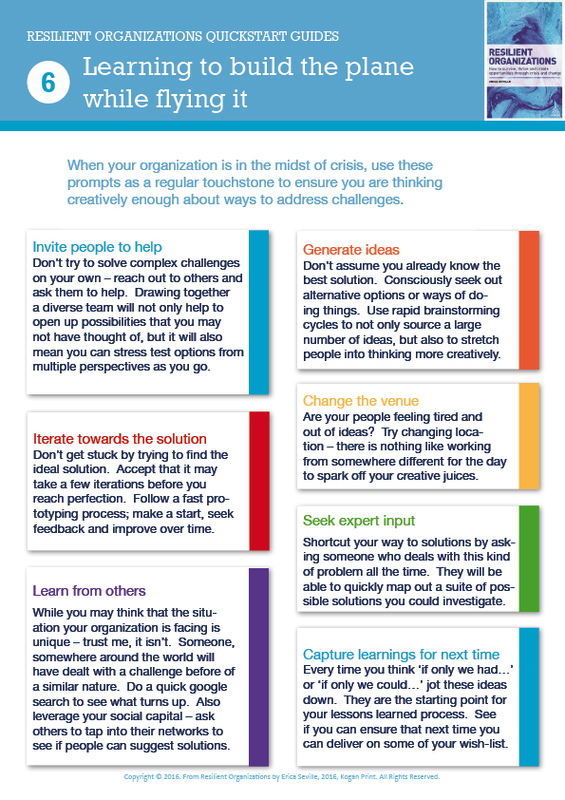 Packed with practical information you can use in the heat of a crisis, these one page quickstart guides are a good prompt to respond in a more resilient way. 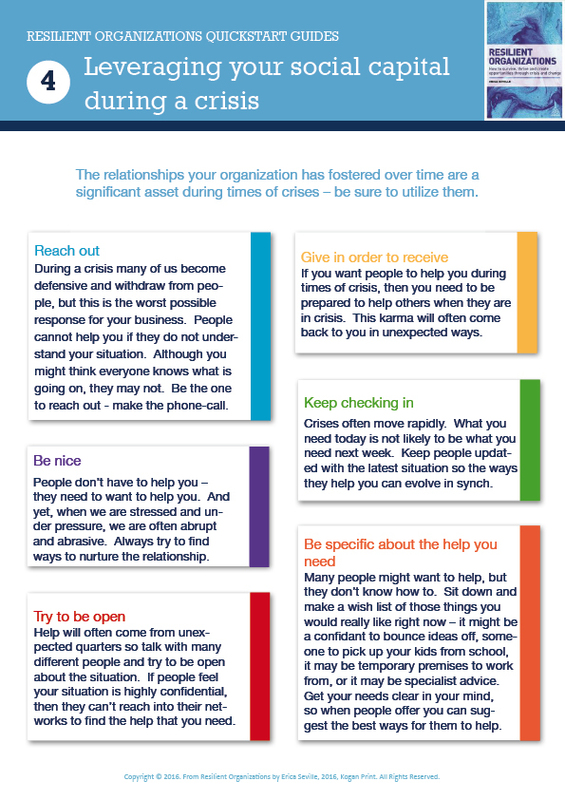 We suggest printing them out to include in your emergency plan or, even better, use as posters on the wall as a visual reminder of things to focus on. 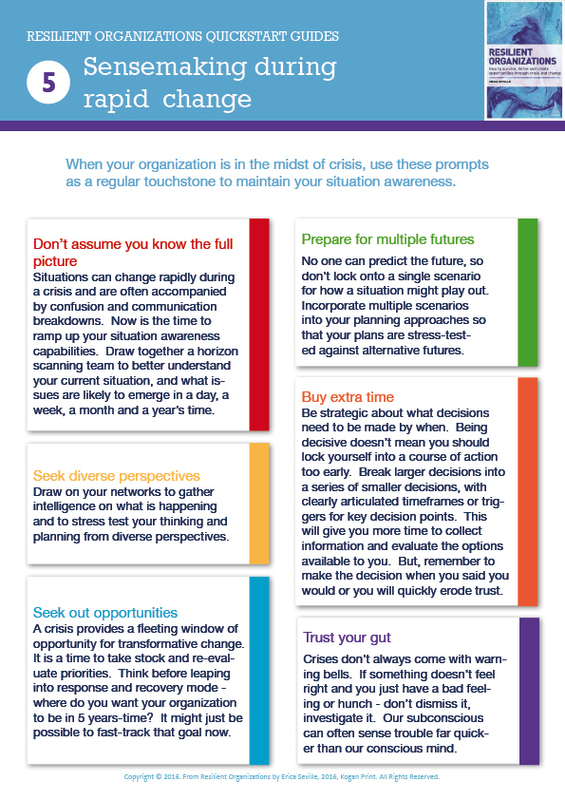 They are extracts from the book: Resilient Organizations: How to Survive, Thrive and Create Opportunities Through Crisis and Change, by Erica Seville, Kogan Page Publishers, 2016. 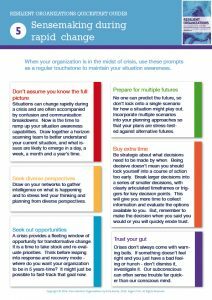 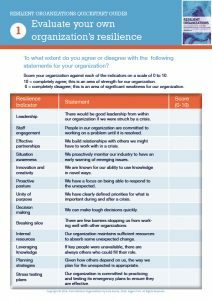 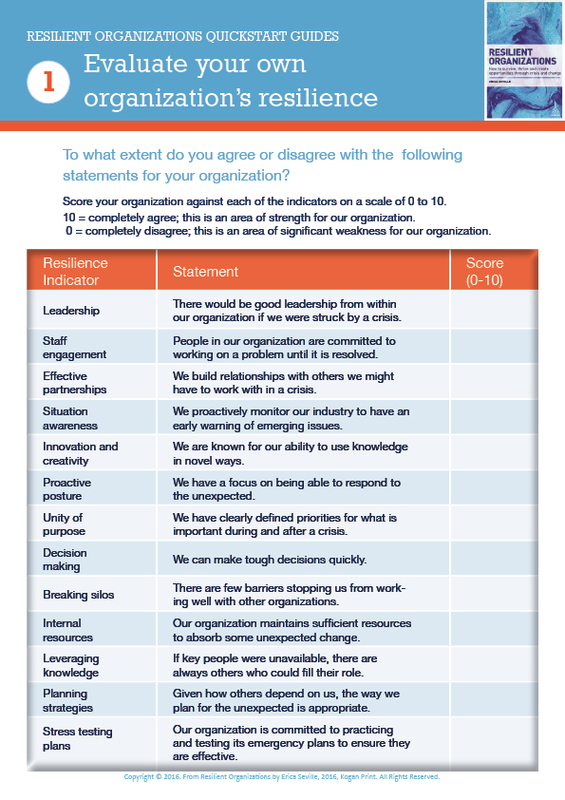 These Quickstart Guides are free to download and print, but to gain full benefit from them we recommend reading the book first to understand the concept of organisational resilience and how it may be applied to your organisation.